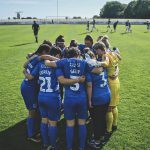 We are rapidly approaching the SSE Women’s FA Cup final on May 4th and by Sunday evening we will know which two sides will be competing for the trophy at Wembley. Chelsea have the tough task of having to defeat Nick Cushing’s Manchester City side if they are to defend the trophy that they picked up after defeating Arsenal 3-1 in last year’s final. WSL leaders, Man City booked their place in the semi-final with a comfortable 3-0 victory against Liverpool. 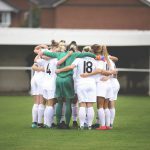 While Chelsea came through after a tight win against Championship side Durham. 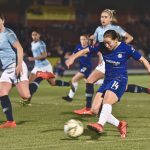 South Korean forward Ji So-yun was the hero of the day in a game that on paper, should have been comfortably won by Chelsea. 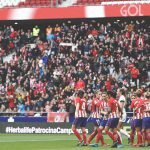 It is hard to see passed City avenging their semi-final defeat at the hands of Chelsea and going one step closer to securing an unprecedented domestic treble. While City have a deep squad filled with plenty of international talent, Chelsea’s eleven are also a supremely talented squad and will approach the game with no fear and the knowledge they have what it takes to reach the final. 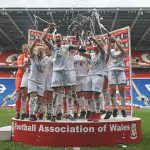 Chelsea boss, Emma Hayes told her club website, “It’s important you get to these positions, and we’ve done that every year in the FA Cup – this is our sixth semi-final in a row, which is a great achievement. But we want to go to the final, it’s that simple. And if we want to do that, we need to impose ourselves on this game. 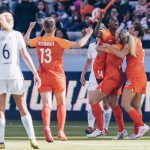 Canada’s Janine Beckie and Germany’s Pauline Bremer will be hoping to celebrate their newly signed contracts with a cup win. 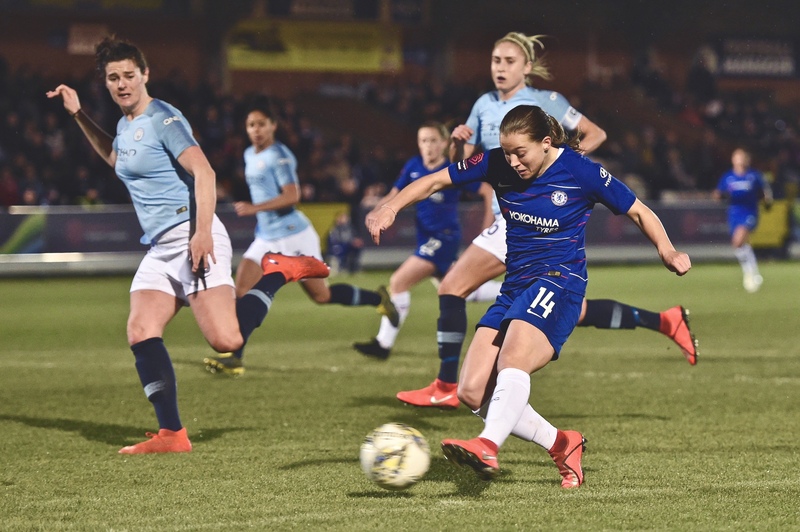 My head says that this will be a Nikita Parris inspired victory for the juggernaut that is Manchester City but my heart wants to see Fran Kirby and her teammates come out victorious. The first tie of the day will be between WSL mid-table pair Reading and West Ham United. This is the first time both sides have reached this point in the competition. 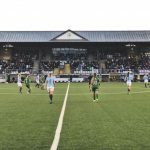 Both sides will know that if they get it right on the day and have a little bit of luck, then they could also be lining up in their first ever final next month. I was there to watch The Royals edge past Manchester United. Neither side could be separated in the ninety and in truth, neither side really looked like scoring in that time. Extra time couldn’t have been more different as we saw five goals in twenty-two minutes. 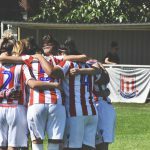 The vital goal came when Iceland’s Rakel Honnudottir bundled the ball passed Siobhan Chamberlain in the 120th minute after the United keeper had failed to hold onto the ball after a free-kick. 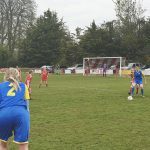 There was a similar tale in the last quarter-final when West Ham United‘s Scottish striker, Jane Ross, took advantage of some slack goalkeeping to settle a tie against lower league opposition in the shape of Aston Villa. The Hammers will take confidence from the four points that they have picked up against Sunday’s opponents in the league. Despite that I am still leaning towards Kelly Chambers‘ side coming out on top of this match. 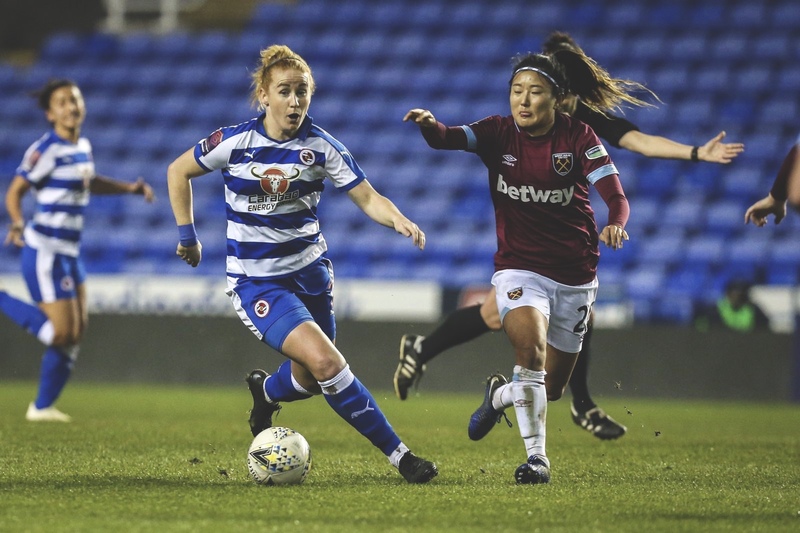 Reading and West Women under the lights of the Madejski stadium.